The Prevention Project™ curriculum was developed in 2012 by Richmond Justice Initiative (RJI) thanks to a grant from AT&T. Richmond Justice Initiative (RJI) is a non-profit organization whose mission is to educate, equip, and mobilize communities to be a force in the global movement to end human trafficking. The Prevention Project curriculum is an award-winning program that was developed and produced by a committed group of human trafficking survivors, educators, law enforcement, and advocates from leading anti-trafficking organizations who have a passion to act against the perils of human trafficking, and who believe that if change is going to happen, it must begin with the young generation. We offer this curriculum in a high school version and a middle school version. To date, the Prevention Project curriculum has reached over 16,000 students since 2012 in schools and programs across the United States! 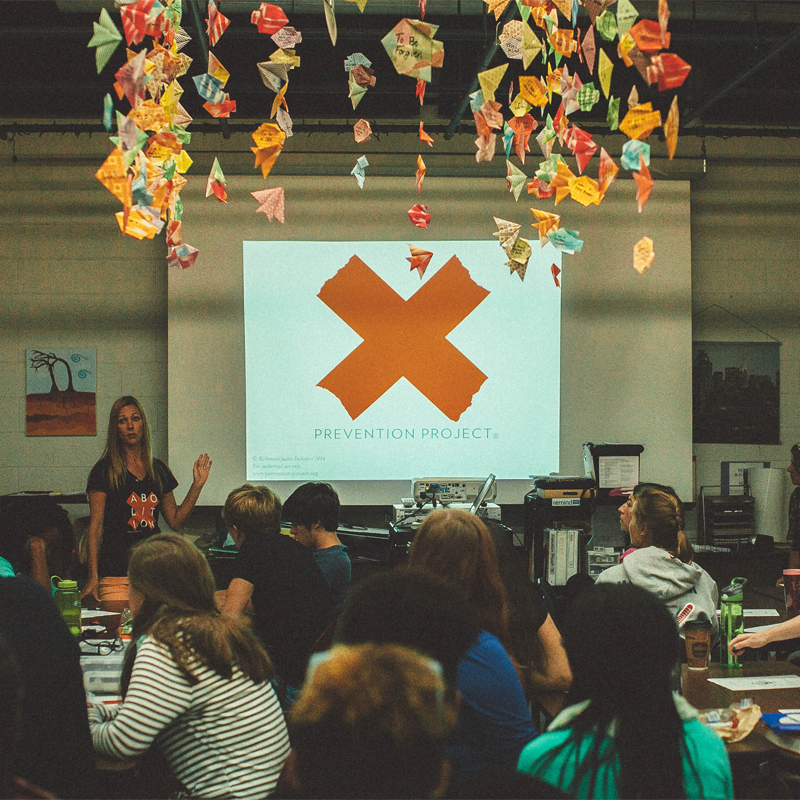 Click here to find out more about the Prevention Project program & how to get these important teen prevention education resources in your school & community organizations!